Teresa Flavin is the Leeds-based author and illustrator of books for children and young people including The Blackhope Enigma fantasy trilogy (Templar UK) and Jet Black Heart, a supernatural story set in Yorkshire (Barrington Stoke). She has illustrated for many publishers in the UK and USA. She often describes herself as an illustrator who morphed into a writer so she could channel stories from characters that demand to be heard as well as making pictures that help take readers to new and unusual worlds. Teresa lectures on the BA Illustration course at Leeds Arts University and has spoken widely in schools, libraries and at literary festivals. When she is not writing and illustrating, Teresa creates personal artworks that reflect her love of magic and wonders, folk and historical tales, colour and texture. She enjoys a good mystery and exploring windswept landscapes and Gothic mansions - as long as there is a cup of tea and a comfy chair by the fire after the adventures. Teresa’s greatest joy is getting lost in drawing, painting and writing stories that delight and enthral readers of all ages. Chris was born and raised in West Yorkshire where he still lives with his family. He is one of twenty studio artists at the prestigious Dean Clough Mills arts and business complex http://www.deanclough.com His published work ranges from picture books to young fiction and throughout a long career he has also produced theatre posters, editorial cartoons for major newspapers and character development work for animated features. Kate Pankhurst illustrates and writes for children. Her published work includes the Mariella Mystery Investigates series and the Fantastically Great Women titles. She lives in Leeds with her family and works from her studio in an old Mill with her much loved spotty dog, Olive. Kate is distantly related the suffragette Emmeline Pankhurst, knowing about her story since childhood has been an influence on the sorts of books that Kate enjoys creating. “ I’m incredibly excited to be delivering events for the Reading Pictures, Seeing Words initiative. In my events I always explain to children that most of my books ideas don’t actually begin with words, they start with small doodles that spark an idea that grows into something big. As a writer I know I still get daunted by the blank page and find that drawings and pictures can be a way into developing a story, a doodle can unlock the hidden stories we all have in our imaginations. A doodle brings characters to move, talk and do amazing things! Nicky Dillerstone is a textile artist based in Grimsby, UK. 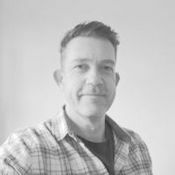 Nicky has over 10 years experience of delivering textile workshops, 20 years experience in the charity sector managing large projects and teams and over 30 years of experience with textiles, fabric and stitching. Nicky has delivered workshops to people of all ages with diverse range of needs from dedicated textile groups, schools to special needs. Anna Ingleby is a Hull-based puppeteer, originally from Beverley, who trained in Edinburgh as a visual artist but later studied in London, India and Indonesia gathering skills in movement and puppetry performing arts, along with teacher training skills. 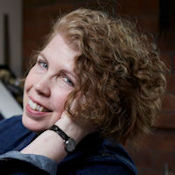 She returned to Yorkshire after 20 years away, continuing to run Indigo Moon Theatre Company since 1999. Her touring repertoire productions, including "Alice & the White Rabbit", "Aladdin" and "Jungle Book", have revisited classic texts in a most unusual way! Since 1992 she has worked in many schools, museums and arts venues around the UK, offering bespoke puppetry workshops and residencies, often in relation to her performances, and with a particular specialism in shadow theatre. Her various TV contributions include BBC Storymakers and more recently Peaky Blinders (Series 2, episode 3). Indigo Moon Theatre were also shadow theatre consultants for the band Take That's 2015 arena tour. A school teacher once said of her participatory shadow theatre demonstration: "We learnt more in one afternoon about shadow and light than in a whole term of topic work". Liz is an artist and designer from York specialising in colour and pattern. 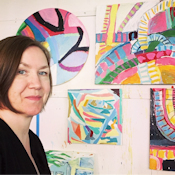 Her work spans painting, mixed-media and site-specific projects. 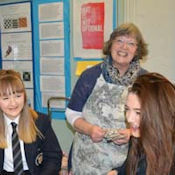 She is currently an adult education art tutor for York Learning and she also runs children’s art and craft workshops for Explore York Libraries and Archives. She loves experimenting with materials and often uses collage in her own work. 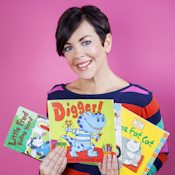 Liz Million is a crazy, lively Illustrator and Author of children’s books that will have you chuckling, drawing, writing and learning within minutes! She claims to be able to draw any animal in the worrrrld and will gladly show you how to draw them skateboarding or break dancing!! Liz likes to think that she has THE best job in world. When she isn’t painting and writing books in her little studio in Darlington, she spends a lot of time travelling the world talking to eager children in amazing schools, libraries and museums! She has been visiting schools for over 18 years and has recently travelled to schools in Hong Kong, Brunei, China, Qatar, Vietnam, Germany, Switzerland to name a few. She loves drawing crazy creatures, cartoony animals and showing children (and grown ups!) how to become better artists. Once the characters are drawn she then encourages them to write a story for them. Simple!! 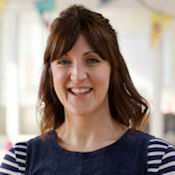 Since being snapped up by Walker Books after graduating, Liz has created some crazy books like ‘The Not-So-Silly Sausage’ and more traditional tales too. ‘Digger’ is Liz’s own story about a dinosaur that doesn’t know what he wants to be when he grows up. Copyright © 2018 ASCEL. All rights reserved.